Balance Balls are a classic desk toy. 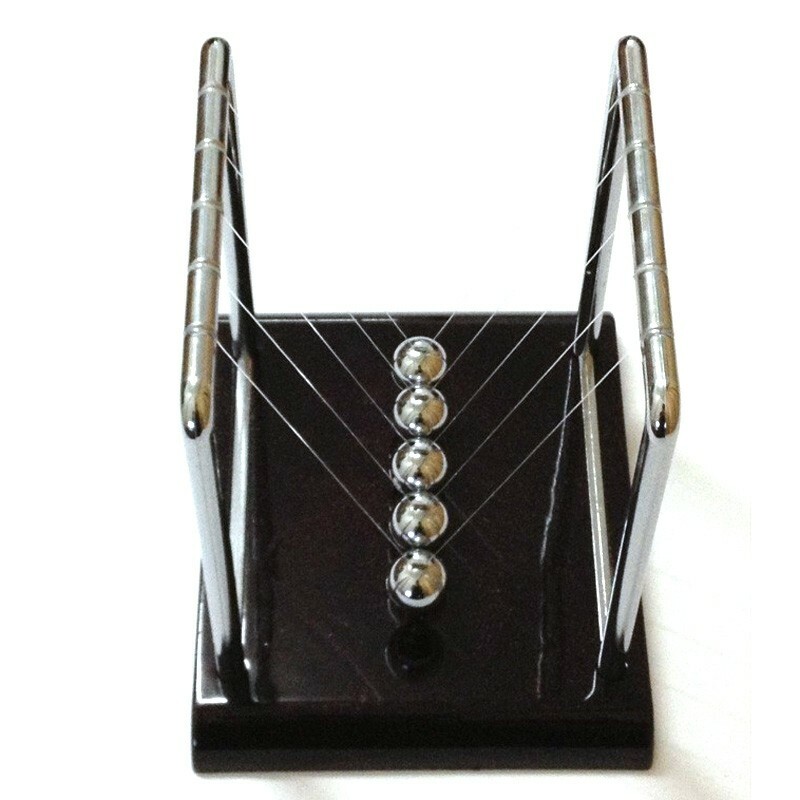 Also known as Newton’s Cradle, the clacking of the steel balls will keep you entertained throughout the day. Pull back one or more of the balls, release them and the same number of balls will swing up on the opposite side. 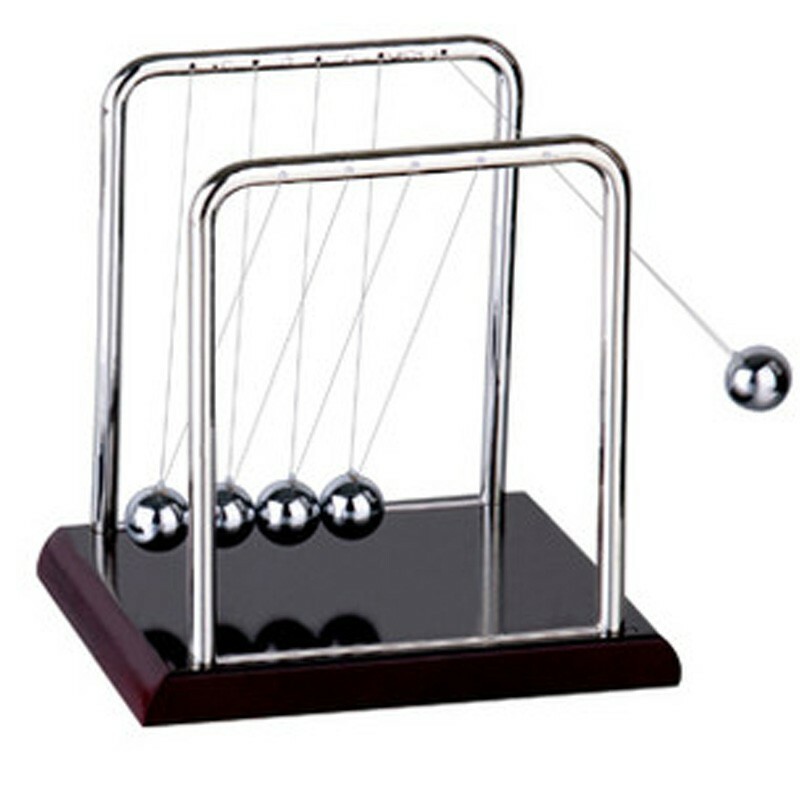 This set of balance balls is fun for the office and makes a great desktop gift. The apparatus usually consists of an odd number of identical steel balls each suspended by a bifilar suspension from a sturdy frame. дошло fast, normal packing. such good toy for baby. to store. poor quality and size compared to price charged. the balance ball only last 15 seconds and then stops. Fast shipping. Took 11 days to arrive (East Coast USA). I included a picture of the item in its packaging. 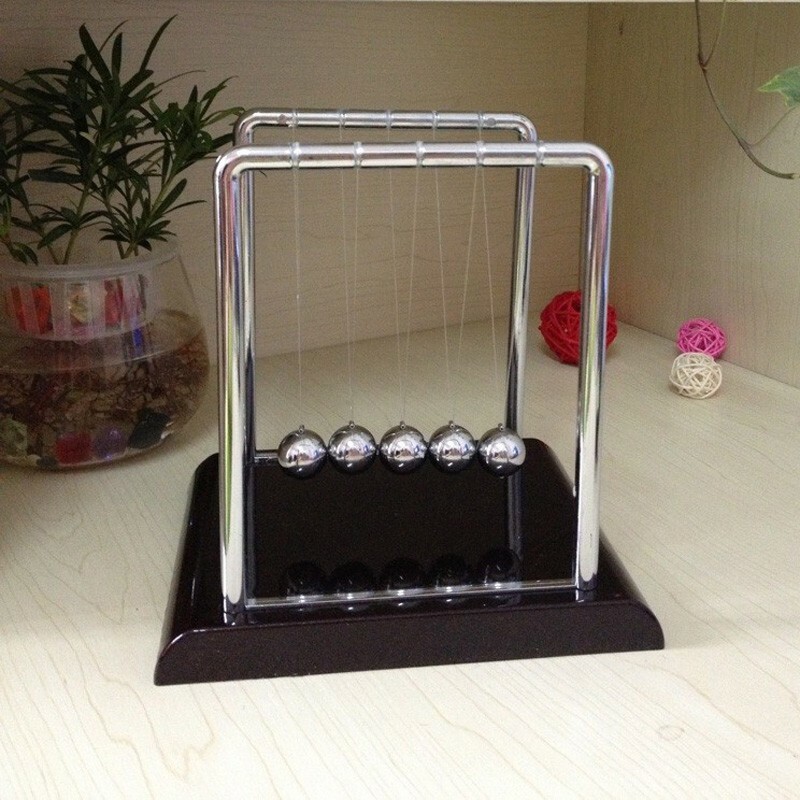 I’m not taking this particular Newton’s Cradle out because it’s intended as a gift. However, this is my second purchase of the Newton’s Cradle and I left a review of the quality earlier. Overall good enough to purchase again. Cam in greece to 14 Days.. Good product! Happy with purchase, thank you. it’s actually very tiny. and not steel. it’s plastic. anyhow, it’s cute.